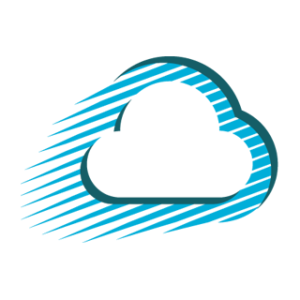 Bluedrop acquired Serebra and turned to ShuttleCloud in order to execute a data migration between the two existing domains. Bluedrop utilized ShuttleCloud’s migration products and services in order to move Google Apps domain data due to an acquisition. The company that they acquired, Serebra, needed to have data migrated to the Bluedrop domain and then have serebra.com setup as a part of the bluedrop.com Google Apps instance with very little impact on their system. Bluedrop is a Canadian-based performance learning company. This includes training, courseware, learning platforms and simulations for both business and governmental organizations. Beginning over twenty years ago as an IT consultancy, Bluedrop now employs over one hundred people. As part of their mission to continue to invest in their business the company decided to purchase Serebra, based in Vancouver. Both companies were already using Google Apps domains and Bluedrop wanted to combine them both under the Bluedrop brand name. The process would include adding the serebra.com domain as an alias under bluedrop.com and the end result would be all data merged into one domain under the Bluedrop brand name which all Bluedrop users would be a part of. Additionally, Bluedrop’s legacy email users would also need to be migrated onto the new domain. Bluedrop required a partner that would be able to complete this process smoothly in a matter of days using a hybrid migration solution. To aid in getting data moved over from Serebra’s old domain, ShuttleCloud used a hybrid migration method. In order to move over all the Google Apps data from Serebra, a managed process was used that was guided by one of ShuttleCloud’s experienced project managers. This included moving all data for selected users – Gmail, Google Calendar, Contacts, Docs and Sites information from serebra.com to bluedrop.com. During the migration, there was no email downtime and minimal impact on users for all other Google Apps services. For the migration of select legacy email accounts over to the Bluedrop Google Apps domain a self-service migration process was used. A simple portal like this one required users to enter in the relevant login information for their legacy accounts. By also putting in a contact email address, they were even notified when the process is complete. This allowed users the ability to start the migration process on their own accounts and was easy to do for anyone who wanted to move their messages over. In total, seven users from the Serebra domain had all of their Google Apps data moved over to Bluedrop using a managed migration. The remaining thirteen users were able to use the self-service migration portal to consolidate their old email data into the Bluedrop domain. Using a hybrid migration model is beneficial for getting important data moved over to a new Google Apps domain. Domain-wide Google Apps service data is ideal for a managed migration where a project manager from ShuttleCloud is able to lead and guide the process along the way. Organizations that have users on legacy email accounts will benefit from a self-service process that allows the user to take ownership of their legacy data. This can be done from a variety of hosted email providers that support IMAP such as AOL, Yahoo!, Zimbra, GroupWise, GoDaddy and Gmail. In the case of the Bluedrop migration, this allowed the complete migration process to complete in a very short period of time. All data was moved over within five business days.